While Elena Kagan’s confirmation this summer didn’t change the balance of political power on the Court, it will shift the Court’s legal philosophy. Kagan, a long-time supporter of the Administrative State, revealed in her testimony that she doesn’t think much of the idea of checks and balances in the Constitution. 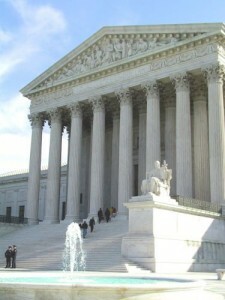 She posited that, while the Constitution expressly states that all legislative power resides in – you guessed it – the legislature, it is sufficient for Congress to simply lay out a broad policy objective and then delegate the actual legislating to federal bureaucrats, reducing the three branches down to two. But then she went on to assert that there are no limits on what the Executive branch could do, declaring that a “federal eat-your-vegetables” law “might” be Constitutional. Her readiness to emasculate the Legislative and Judicial branches, and empower the Executive, does not bode well for liberty. 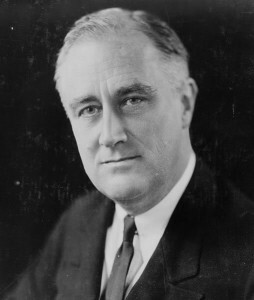 Franklin D. Roosevelt once remarked that the national government’s central planners should not be afraid to experiment, but should instead be given unlimited license to use citizens as guinea pigs. If a social engineering experiment failed, planners should admit their mistakes and try something new. Obama has taken that message to heart, but, like any good scientist, has added control groups. Title II of Obama-care, which deals primarily with Medicaid, directs the Health and Human Services Secretary to create no fewer than four “demonstration projects,” selecting multiple sets of states and subjecting each to different regulations! At least when FDR experimented with people’s lives, he honored the constitutional principle of equal protection of the law. While the Left has traditionally supported restricting political speech through campaign finance reform, Biden is coming to see some of its effects firsthand: the Vice President has been ordered by the FEC to pay $219,000 for violations of finance laws. Spokeswoman Elizabeth Alexander noted that “…repayment is commonplace after presidential campaign audits.” It seems the public should have no problem entrusting the enforcement of these laws to the same politicians who regularly violate them. What could possibly go wrong with the ruling class having the authority to decide what speech shall or shall not be permitted? 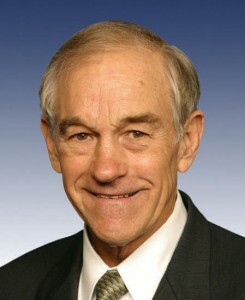 Insider Matt Collins reports that 2008 Presidential contender Ron Paul is preparing to run again in 2012. A poster boy for “Constitutional Conservatism,” the Texas Republican is a foil for Obama. Paul, whose nickname “Dr. No” references both his occupation and the fact that he refuses to vote for legislation not authorized by the Constitution, has earned a reputation advocating sharp foreign policy changes, sound money, and subsidiarity – the principle of radical decentralization.